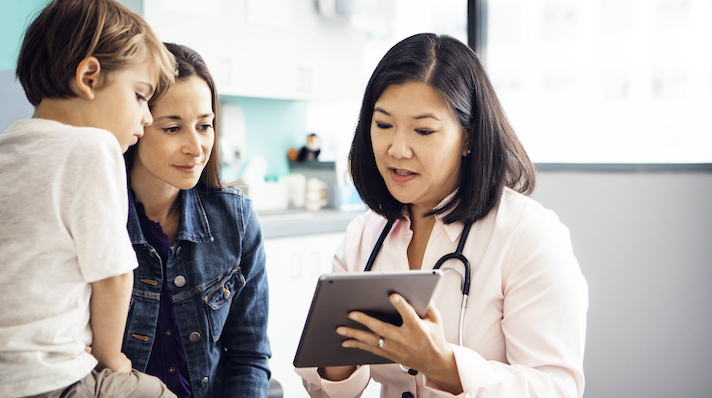 As part of the deal Cincinnati Children's will advise Teladoc Health about pediatric-specific workflows, clinical requirements and care components. Telemedicine giant Teladoc announced this morning that it is teaming up with Cincinnati Children’s Hospital Medical Center on a new project aimed at creating a consumer pediatric telehealth platform for hospital and health systems. As part of the partnership, doctors from Cincinnati Children’s will lead the advisory team. The hospital team is set to advise on pediatric-specific workflows, clinical requirements and care components. The partners plan to design an interface and tools that are specially designed to meet the needs of kids and caregivers. While Teladoc has been able to treat children through its app and network of board-certified doctors for years, this new tool, which will be part of its hospital and health systems market, will let pediatric hospitals and facilities develop a platform for their specific needs. The team is set to start developing the tool within this quarter, with the aim of getting it to pediatric hospitals and medical centers by the beginning of 2020. Telemedicine is becoming a more mainstream way to treat patients. However, many of these platforms were originally designed for adults. The pediatric population has specific health needs and way of interacting with technology. “Whether we’re treating a child who has a complicated diagnosis or treating and managing more common illness, our pursuit of the best outcomes means that our telehealth system should be tailored to pediatric needs,” Marianne James, SVP of information services and chief innovation officer at Cincinnati Children’s, said in a statement. Teladoc is one of the major names in telehealth, and in fact is the only one in the field that has gone public. The company has been off to a busy start in 2019, announcing last month that it acquired Paris, France-based MédecinDirect, which provides confidential medical consultations via phone and internet. This purchase is set to bolster the company’s growing international aspirations. But cross-country care is just one new focus area. During the company’s Q1 earnings call CEO Jason Gorevic stressed diversifying its products — for instance, by targeting the Medicare Advantage market. This won’t be Cincinnati Children’s first foray with digital health. The company has previously teamed up with medication reminder app MedaCheck to run studies on adherence and Johns Hopkins to launch an app for hydrocephalus.